Mafia 3 is the latest action-adventure video game in the Mafia game series from a developer Hangar 13 and 2K. It is one of the best video game for the month of October, 2016. Check out the rest of the top 10 best video games for the month of October for more insight. 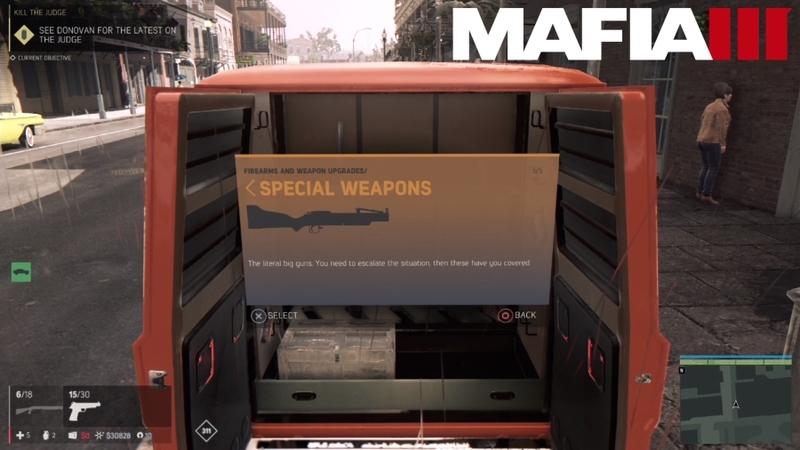 Mafia 3 features various powerful and unique weapons and explosives. The game will allow player to customize different weapons to upgrade reload speed, accuracy, damage, ammo capacity and stability. As you will be building a crime organization, you will need all the help from weapons that you can get and without these weapon upgrades and customization options, you will only make this goal difficult to achieve. 1 – So far there are a total of 5 types of weapons in the game; Handguns, Rifles, Shotguns, Automatic Weapons and Special Weapons. You character can only carry up to 2 different weapons, a pistol and a primary weapon. 2 – Only the normal weapons can be customized, special weapons and shotguns have no customization options. You will get 4 types of upgrades for your weapons namely; accuracy, stability, reload speed and ammo capacity. 3 – These above upgrades can be customized 3 times. These upgrades not only cost money but have special requirements also. Certain upgrades are linked to Cassandra’s earnings. Cassandra is one of your associates. 4 – When you buy an upgrade for your weapon, it can be used for any other weapon in the same category. For instance if you have a reload speed upgrade for an automatic weapon, you can use this upgrade for any automatic weapon that you’ll buy in future. 5 – You can upgrade and buy any weapon via an arms dealer. You need Cassandra’s perk called Arms Dealer for this. When you have that perk you can call the arm dealer anywhere on the map and then a van will arrive where you can trade and upgrade weapons. 6 – Fans who pre-ordered the game will get 3 weapons; Camo Sniper rifle, Gator Shotgun and Trench 1938 Submachine Gun. 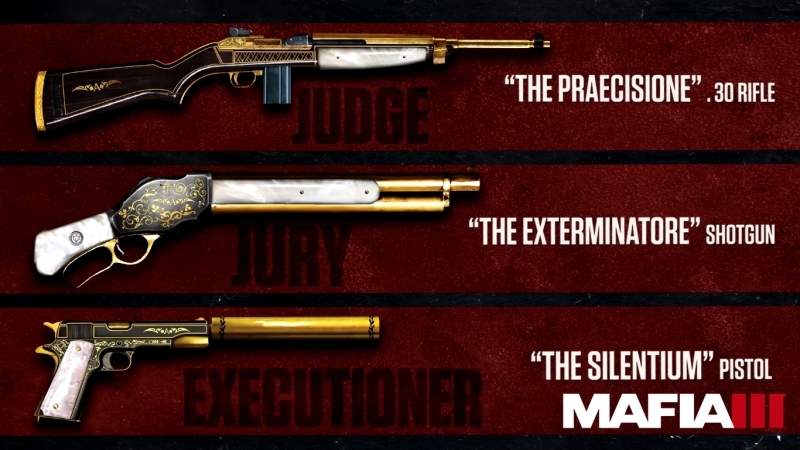 7 – After 30 days of the launch, a golden weapons pack called Judge, Jury and Executioner will be available for everyone. This weapon pack includes Golden Weapons such as a .30 rifle called The Praecisione, a pistol called The Silentium, and a shotgun called The Exterminatore. 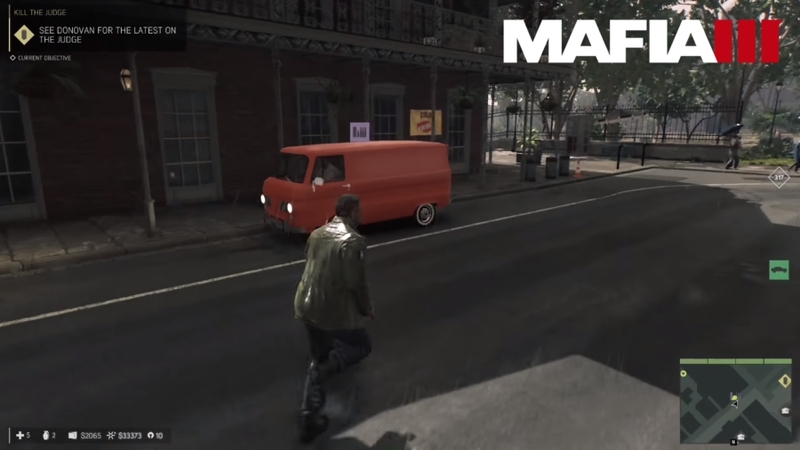 Various mobsters and policemen are using Handguns in Mafia 3. There are total of 10 handguns in the game so far which are as follows; Masterson Semi-Auto, Elling 9MM, Alfredsson M419, Masterson Phoenix, Clipper .44, Scoped Phoenix, Silenced Deacon .22, Blackburn FAF-33, Alfredsson M200 and Silenced Masterson. We all know that Shotguns are for close combat situations, this weapon is not built for accuracy but for the devastating damage and power. That’s why Shotgun in Mafia 3 don’t have an accuracy upgrade. There are total of 6 Shotguns in the game namely; Barker 1500 Tactical, Elmwood 1925, Cornell 40, Barker 390, Riot 550 and Lupara. Rifles are a long distance weapon with powerful shots and long range scopes. 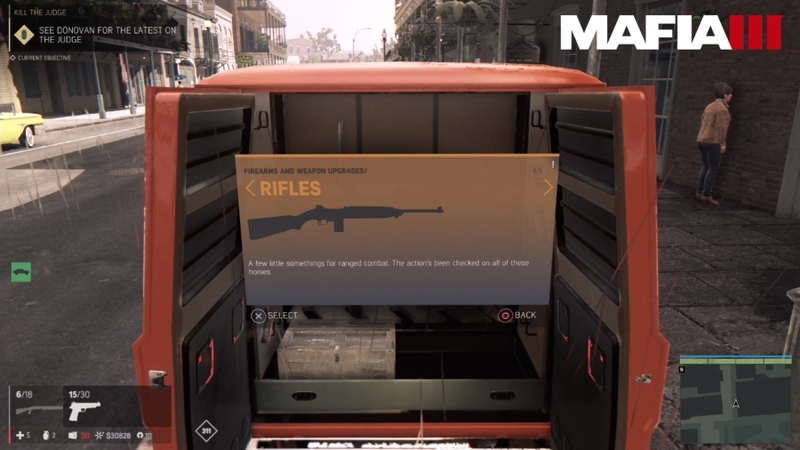 There are 6 Rifles so far that we know of from the trailer, namely; Hawk 4540 Night Vision, Mayweather M04A3, Manitou Model 67, Viper 55 Hartmann .30 and Mayweather .30. 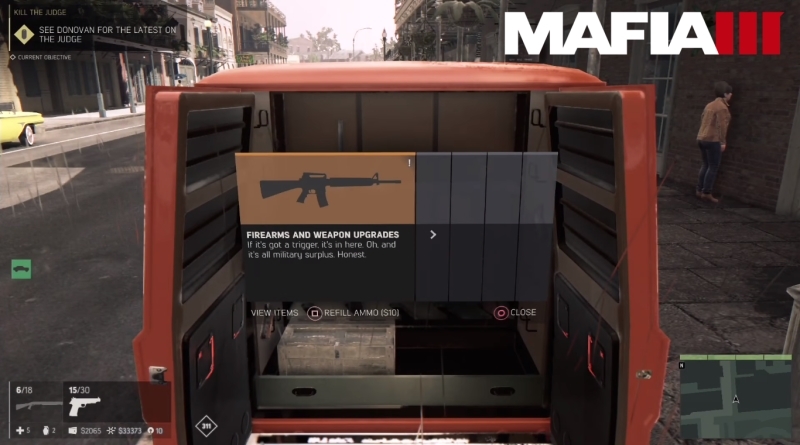 Automatic weapons in Mafia 3 probably will be the most popular choice form most of the fans due to high rate of fire and the general feel of this weapon. There are total of 11 Automatic Weapons so far, that we know of, namely; Trench 1938, Czech Ver. B-65, Carter M33-A, Binya, Automat SG, Stromer .223, Pasadena AR30, Alfredsson M833, Silenced M1N8, Deutsche M11B and M1N8. Special Weapons are powerful, dangerous and used for inflicting insane damage to your enemies. These Special Weapons are big guns for escalating situations. There are 3 Special Weapons that we know of so far, namely; Hartmann At-40, Hartmann 7.62MM and Hartmann HLP. There is no information about the customization options for these weapons. As you can see this guide is incomplete, we will update this guide after the launch of Mafia 3 on 7th October, 2016 for PC, Xbox One and PlayStation 4.